CONCERNS among Scottish newsagents that the sales margin on the Daily Star of Scotland newspaper no longer makes it worth stocking it are to be taken to MSPs and MPs. 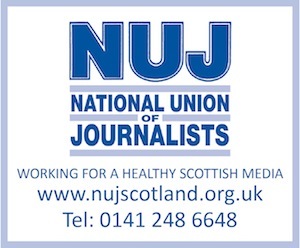 Says a statement issued this morning by the National Federation of Retail Newsagents: “Scottish retailers are to tell MPs and MSPs in no uncertain terms how the cut on the cover price of the Daily Star will threaten the future of independent newsagents. The move follows a meeting of the Scottish Council of the NFRN, reported earlier this week on allmediascotland.com. The decision to approach politicans received unanimous backing. The statement also quotes Aberdeen retailer, Jim Maitland, saying he could make £24 for selling 40 Slush-Puppy cups compared to £1.94 from selling 40 Star newspapers. It is being widely speculated that the Daily Star will reduce in price to 10p from the first of next month, though the 4.84p margin for retailers will remain in place. allmediascotland is seeking a response from the Daily Star of Scotland publishers – Express Newspapers.